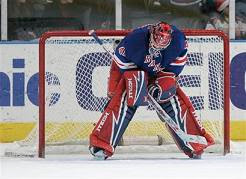 The New York Rangers were stomped by the Phoenix Coyotes 5-1 during Wayne Gretzky’s return to Madison Square Garden Sunday afternoon. With Henrik Lundqvist sitting out with the flu, Stephen Valiquette got the start and gave up all five goals on 26 shots. Joel Perrault led the Coyotes with two goals and an assist and goaltender Ilya Bryzgalov stopped 34 of 35 shots for the win. The only Ranger’s goal, scored by Dan Girardi, came in the third period with the Rangers down 5-0. Joining Lundqvist on the bench with the flu was forward Marcel Hossa and Ryan Hollweg was a healthy scratch. Add Ryan Callahan’s name to players who missed Sunday’s game, Callahan was sent to the Hartford Wolf Pack apparently for a conditioning assignment. Since his return from a knee injury on November 29 Callahan has no goals, no assists, and is minus-3. Playing in place of these players was a pair of wingers recalled from Hartford, Nigel Dawes and Greg Moore. Dawes was AHL player of the week last week and Moore leads the Wolf Pack in scoring with 15 goals and 14 assists. The pair skated on a line with Chris Drury. Marek Malik, who has been a healthy scratch the past three games, has also returned to the lineup and replaced Jason Strudwick who filled in as a winger on the forth line for Hollweg. The loss was the fifth in the last six games for the Rangers. During that span they have been outscored 24-10 with the only victory coming last Sunday in a 1-0 overtime victory against the New Jersey Devils. 10 goals in 6 games is sad and Jagr has no goals and just one assist over that span. He continues to be used on a line with rookie center-man, Brandon Dubinsky, despite over $85 million spent during the off-season on a pair of All-Star centers. For more NY sports news go to Hot Stove New York.